At the intersection of snow, community, and human-powered recreation comes the Backcountry Film Festival. Created in 2005 as a way to gather the winter tribe in celebration of all things human-powered, the film festival is the common ground where similar interests and diverse skill-sets meet. The Backcountry Film Festival is renowned for its collaboration with filmmakers from all corners of the globe, ranging from grassroots to professional. The festival provides a fresh lineup committed to get you stoked on powder turns as well as environmental initiatives happening all around the world. 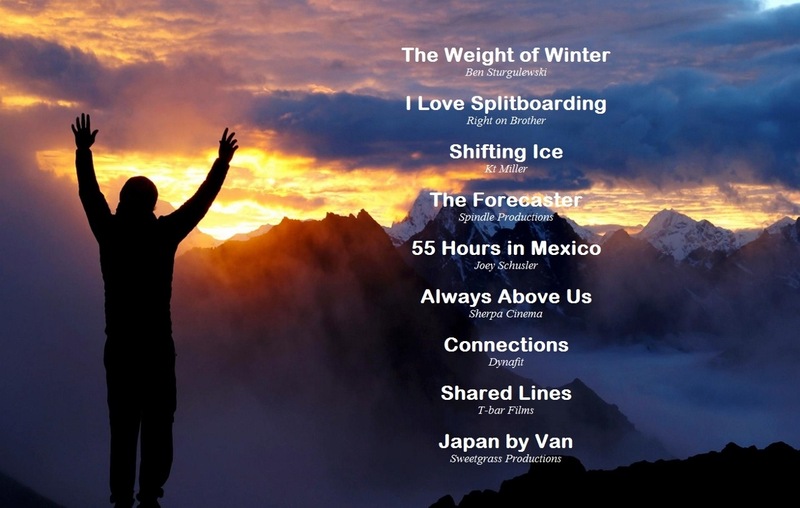 What is featured in the Backcountry Film Festival This Season? The films feature awe-inspiring stories, aimed to connect with and gain insight to what is happening in the places we go to get fresh air and fresh powder. Who attends the Backcountry Film Festival? From polar explorers to weekend warriors, ages of three to one-hundred and three, the Backcountry Film Festival is attended by anyone with interest in the outdoors. Each year, the Festival is viewed by over 10,000 outdoor enthusiasts. Where is the Backcountry Film Festival Held? The Backcountry Film Festival is shown all over the globe. The World Premiere is in Boise, November 19th and 20th. Every show thereafter is posted at www.backcountryfilmfestival.org with location, date, venue, ticket information (if provided) and host organization information. Who Sponsors the Backcountry Film Festival? Often, host organizations work with local businesses to host screenings in their respective communities. If your local hosting organization has a website or social media site, you can check in to see who is sponsoring within your community! Find the showing nearest you at www.backcountryfilmfestival.org. The website is updated daily and will give you venue and host information. You can also follow news, updates, and articles on the Backcountry Film Festival facebook page.